Form: LRP pp. 329-338, figs. 67-69. Stamps: LRP pp. 357-359, fig. 75:g, n (Group II). Shallow foot; slightly concave bottom and thinning floor. 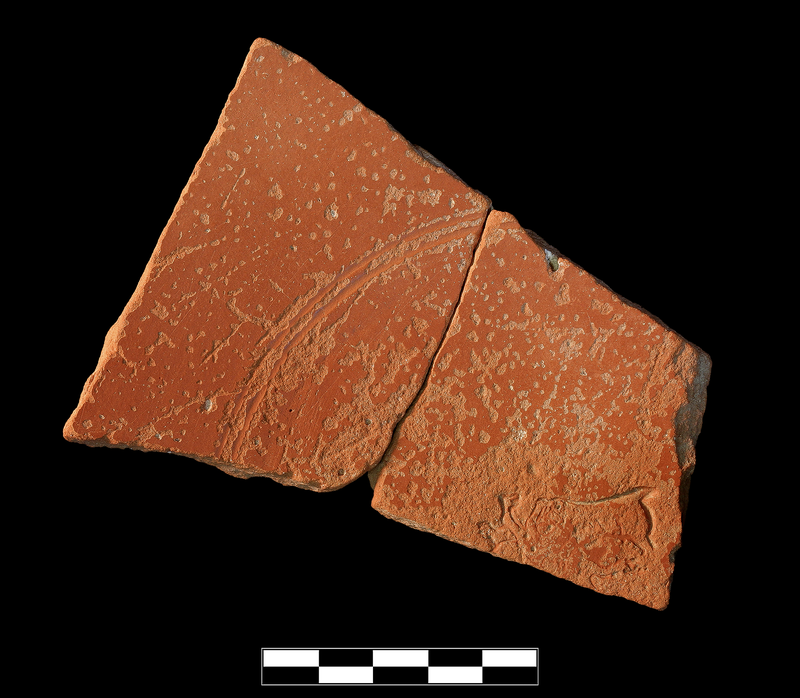 Interior floor has two grooves and central stamp, shallow or incompletely incuse: “lioness pacing” (motif 38) over a second, larger animal advancing left (sim. “lion, early type” motif 36). Typical LRC fabric and slip. Slipped only on interior. Turning marks on bottom. 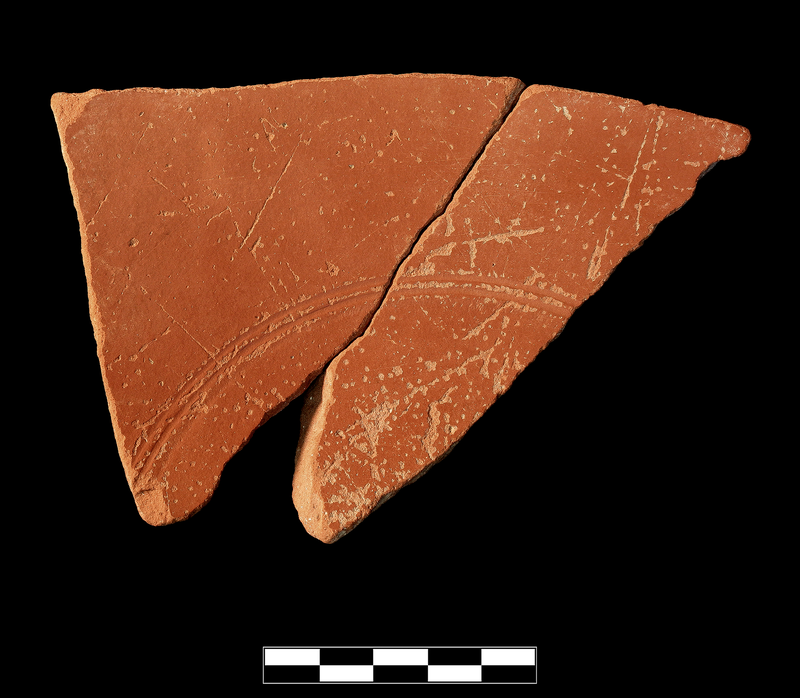 Four sherds, two pairs joining (frr a/b), preserve roughly one quarter of base and floor. Slight, sparse abrasion, chipping, and pitting; sparse patches of encrustation. Linear scratches and scoring across floor from use?